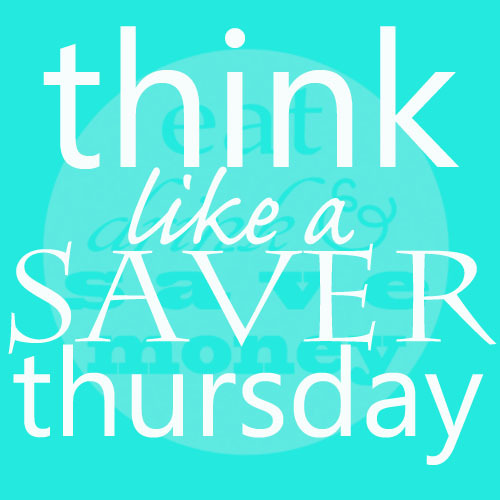 Happy Think Like a Saver Thursday! This series of posts is designed to help you retrain your brain to stop thinking like a spender and start thinking like a saver. Over the last five weeks we’ve focused on specific steps that will retrain our brains to spend less and save more. This week I want to focus on finding a balance between time and money. Sometimes it can be hard to figure out what’s a better deal: spending money on convenience items or spending time to save money. We’ve all heard the expression, “time is money”. This is very true for people in the work force, especially those who bill by the hour. You can always get more money, but you can’t get more time. Time is so valuable because it is a fleeting thing that we have less of each day while money is something we can get more of if we are willing to swap our time for it. When should you spend time saving money and when should you spend money to save time? This is the ultimate question for all busy people on a budget. What is the answer to this time versus money dilemma? Let’s examine each of these factors so you can figure out when you should swap money for time, and vice versa. Wages– If you make a large amount of money an hour, it probably isn’t worth your time to clip coupons. You’re better off going into the office for a couple hours on a weekend and spending what you’ve made at the grocery store. However, if you make a small wage, you’ll probably find that you make just as much, if not more, an hour from clipping coupons. When I clipped coupons I was saving up to 70% off my grocery bill; it was well worth my time because I was making more an hour than I was as a teacher. Figure out what you make an hour and see if the time you put into saving money is worth your hourly wage. If not, don’t waste your time (unless you have an interest in it). Time– This one is completely independent of your wages. Everyone spends their time differently. If you find that you have extra time in your day to spend towards saving money, do it. If not, don’t break your back trying to find time to coupon, cook from scratch or comparison shop. This one has taken a long time for me to figure out. I started couponing as a teacher on summer vacation, now that I have a one year old, I can’t possibly find the time to do it. Remember, you can’t make up extra time. Either you have time or you don’t. Don’t stress out trying to create time to save money. Interests– If you find a way to save money doing something you love, then it won’t feel like work. If you love to eat fine food, try out some new gourmet recipes instead of eating out. If you have the interest and the time, go for it! The funny thing about time is that we can usually find the time to do the things we want to do. Abilities– Interests and abilities are not the same thing. I have an interest in sewing, but I recognize that I don’t have the greatest sewing talents. It would be worth my money to buy cloth diapers than to make them myself. I would waste time and money trying to do something that I don’t have the ability to do. That doesn’t mean I can’t play around with small projects. Know your limitations so you don’t waste precious time and money on a project that is out of your scope. These factors can fit together in different ways. You may not have a lot of time, but you may have an interest to make your own lunches for work. Find a window of time that works for you and make sure to pack your lunch instead of eating out. If you have an interest, you will find the time. Maybe your don’t have time or the interest and you find that it is easiest to eat out for lunch everyday. You may find that this saves you money on less food wasted each week at home. We are all trying to figure out the best balance between time and money. There are points in our lives where we trade time for money and then their are other times that we have to trade money for time. There is no right or wrong answer. Find what works best for you and your lifestyle and be confident in your decisions. Bottom line: there is no right or wrong answer to the time versus money question. It is all on an individual basis. Try to find some time this week to do an inventory of your time and money. Make sure you aren’t wasting time to save money or wasting money to save time. This is a balancing act and your goal should be to save time and money while enjoying the process. Identify your goal and continue to remind yourself of it. Post it somewhere around the house and think of it often, especially when tempted to spend money. Learn to be confident in your money-saving and spending habits. If you aren’t confident in the way you are saving money, it will be impossible to go on to the next step. Be honest with your friends and family about your financial goals. Identify your spending weaknesses and be aware of them. Make a list of ways to overcome your spending weaknesses. The next post in this series will focus on comparison shopping. I’ll give you some tips on how to do this even if you are short on time. 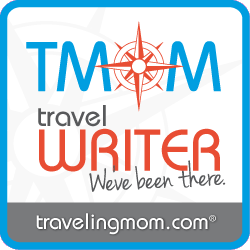 How do you feel about the time versus money dilemma? Where do you stand?